(HARDCOREPUNK) In 2015 Clowns have unsolicitedly carved their name into the walls of the Australian punk rock hall of fame. 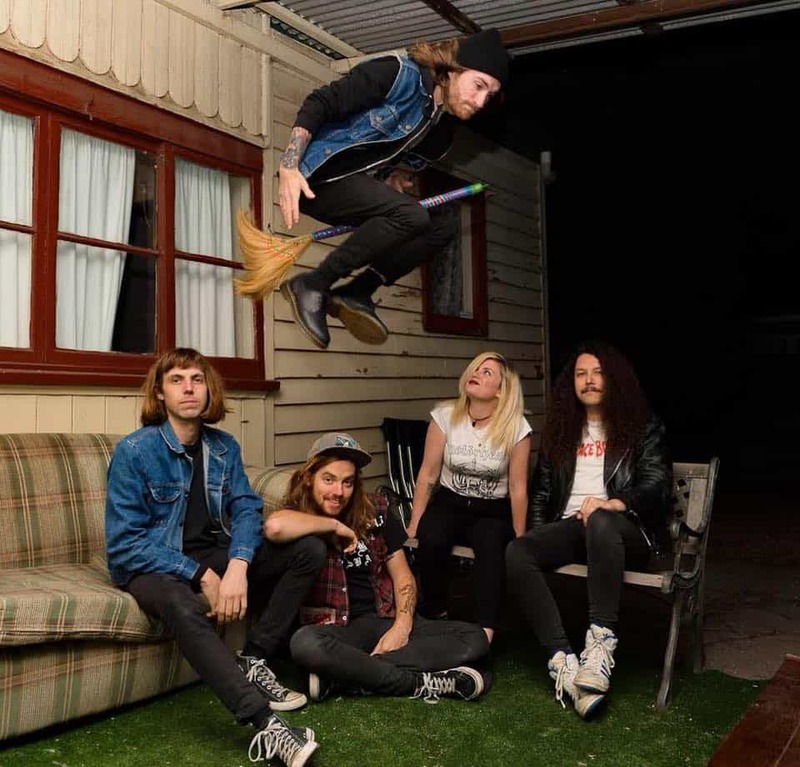 The success of their most recent full length Bad Blood has seen them smash sold out shows and festivals nation wide, appear at the 2015 SxSW festival, become the first ever Australian act to (dis)grace the prestigious Riot Fest line up in Chicago and achieve high rotation on national radio stations and bedroom record players alike. With two full length LP’s under their belt including 2013’s “I’m Not Right” which ranked in at number 5 of national radio’s “Short Fast Loud’ top 40 releases of 2013, as well as the already highly acclaimed follow up LP “Bad Blood” released in early 2015, Clowns are heavily equipped with the right credentials to back up their impressive live show. Both of these records are out on highly esteemed Australian label “Poison City Records”, which the band have a strong and proud working relationship with, as well as having North American distribution through “No Idea Records” in USA.